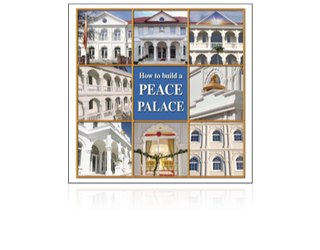 (In het Engels) This book is a manual for building a Maharishi Peace Palace. It is meant for those who wish to organise the building of one. Rather than containing an abundance of technical details, which any professional would know better, it gives an overview of the entire process, based on the actual project of the newly constructed first Peace Palace in Europe, which was built in Erfurt, the centre of Germany. It was built from 2011 to 2012 using the Master Builder System. Building a Maharishi Peace Palace, or a building of similar function, is unlike any other building, because it is creating a permanent home for Maharishi’s supreme knowledge and peace-creating technologies to be a lighthouse for the whole population for many generations to come. Maharishi’s Program for the creation of 12 Divine Capitals in every country based on the cultural and language regions. Printed book, 232 pages, hard cover, English language.